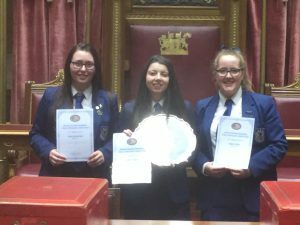 On Wednesday, 20th March Olivia Neill, Jade Fyffe-McFadden and Zara Davis took part in the Edgar Graham Memorial Public Speaking Competition at Stormont. 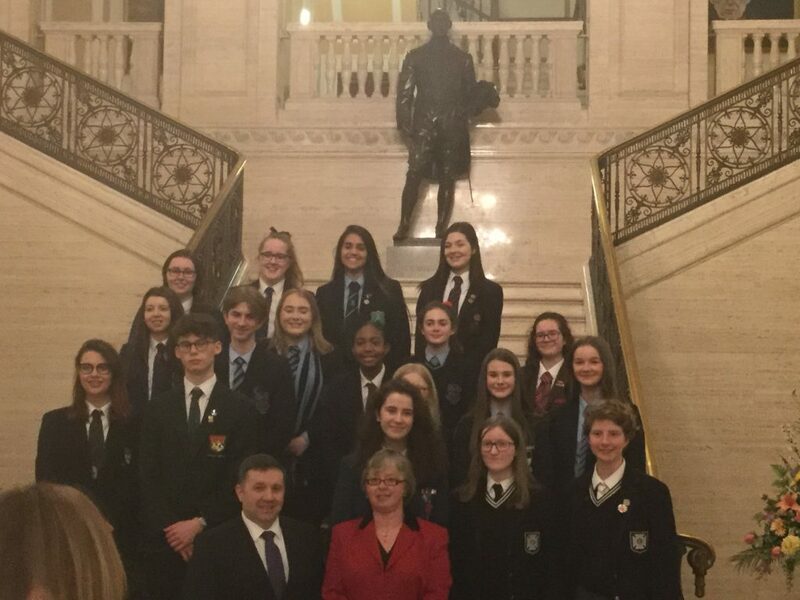 This is an annual event is open to school pupils throughout Northern Ireland and this year we are delighted to say that the competition was won by Olivia Neil with Zara Davis also receiving 3rd place.All competitors had to prepare a speech on a subject of their choosing for five minutes. 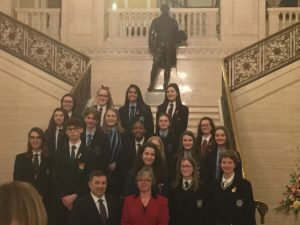 There was stiff competition from many other schools across Northern Ireland including Royal School Dungannon, Cookstown High School, Forthill Intergrated, Sullivan Upper, Methodist College, Portadown college, Belfast Royal Academy and Banbridge Academy. We would like to congratulate all pupils who took part in the event and it was an enjoyable evening for all those attending.